ICICI Bank takes the initiative of offering additional loan amounts to existing customers: the process of increasing the prevalent loan is known as a personal loan “Top Up”. The additional Loan amount is incorporated into the existing loan amount, thus the Personal Loan remains a single entity as an enhanced Loan. So if a personal loan aspirant is not given the loan amount required he need not despair, as he can apply for a Top up after 3 months. 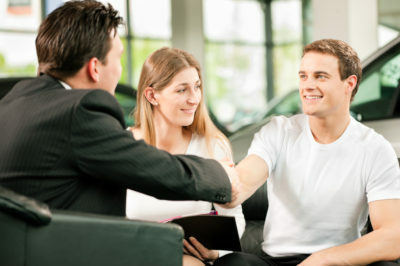 Alternately the applicant also has an option of taking a further loan amount as a Parallel Loan. The Parallel loan has no relation whatsoever with the existing & will be inducted as a new loan with a separate EMI. Applicant must have a successful loan track of the existing Personal Loan from ICICI Bank with EMI being paid on time & no defaults or late payments. The customer should be eligible for an additional loan amount as per his net salary. The current EMI of the Personal loan & all other credit lines the customer such as a home loan, consumer loan & credit card dues are taken into account before calculating the total loan amount the applicant is eligible for. If the customer is a first time loan applicant with no other credit history, the Top Up to his existing personal loan will only be processed after 3 months. This is the minimum time lapse before he can apply for an additional loan amount. Within the 3 month time period the loan holders repayment record is reviewed, if he is able to pay his EMI on the due date. All other credit facilities he has availed during this time period should also have a clean repayment record. If the applicant has switched companies & changed his employer, the Personal loan top will be processed on the basis of the current employer: the rate of interest allotted & other terms & conditions will be applicable as per the category of the company with ICICI Bank. The CIBIL score of the applicant must be above the minimum basis points required. An existing customer of ICICI Bank with a good repayment track will be at a definite advantage to apply for extra funds. ICICI Bank gives weight age to the relationship. ICICI Bank offers competitive interest rates for Top Up of a personal loan. The rate of interest applicable for a Top Up will be as per the current profile of the applicant. The applicant has a comfort of paying a single EMI for the existing loan with the additional amount. This saves the customer the hassle of following up numerous loan accounts. ICICI bank process for a Personal loan Top Up is quick & transparent, applicant can receive the amount in his bank with in 48 hrs. 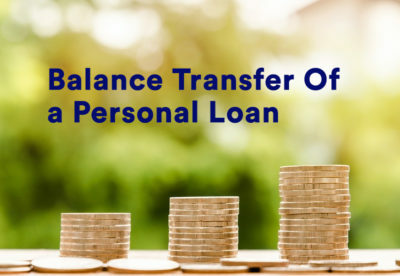 An ICICI Bank Personal Loan customer who is in need of extra funds has an option of applying for the loan amount as a Top Up to the existing loan amount: or as secondary loan called a Parallel Loan. 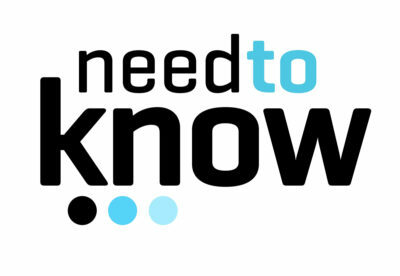 A Parallel Loan is independent of the existing Personal loan with a separate EMI & its own set of Terms & Conditions. The applicant will need to submit the current Income & KYC documents as required to process the request. The CIBIL score of the applicant will be viewed to check all obligations & the credit history, to see that the applicant has been paying all the EMI’s on time & there is no overdue to suggest that the applicant cannot meet the payment of the EMI. If required & there is a change in the profile the office & residence verification is conducted. The underwriter will then consider all the inputs & approve or decline the request. The Applicant is informed immediately about the status of the request. After the Personal Loan Top Up has been approved the applicant will be given the agreement with the terms & conditions for the sanction of the Top Up amount: hence the Personal Loan Top Up will be initiated. The existing personal loan with ICICI bank will be closed with no extra charges. The extra funds requested for are transferred to the Salary account of the applicant through ECS. The Principal amount balance of the previous loan + the additional loan amount disbursed will be clubbed together to form a fresh loan. The rate of Interest & other terms & conditions applicable will be as per the current policy. A new EMI as per the tenure of the fresh loan will be presented. Post approval of the personal loan request the agreement with the terms of conditions for the current loan amount will be presented to the applicant: the terms of the fresh loan may vary from the previous loan sanctioned, as per the current policy of the Bank or the altered profile of the applicant. After completion of the agreement the additional loan amount applied for will be disbursed & transferred to the salary account of the applicant. A fresh EMI will be initiated & deducted from the salary account of the applicant for the loan tenure fixed. If larger loan amounts are required a Personal Loan Top Up is beneficial, as the existing loan amount will be clubbed together with the additional amount & enhances the loan eligibility. A longer pay back tenure enabled after the Top Up for the will also facilitates a lower EMI, payable more conveniently. If the existing loan vintage is 4 or 5 month then applying for a Top up is a better proposition ,as if the 12 or more EMI’s have been paid already then restructuring the loan will not be favourable. Applicants may appreciate pay a single EMI, rather than following up various Loan accounts. While a parallel loan has no relation with the existing personal loan. The applicant can negotiate fresh terms & conditions as suitable or as per the current profile. The applicant can pay back the previous loan amount as per convenience or whenever extra funds are available, while after taking a Top Up the applicant will have to adhere to the mandatory lock up time period for paying back of any loan amount. If the loan amount required is less it is wiser to take a Parallel loan as one can go in for a separate tenure & pay back the loan amount quickly. When taking a Parallel loan the applicant will have a separate repayment schedule, while in a Top Up the applicant will have to pay interest on the principal loan amount balance as per a fresh amortization schedule. We at your loan advisors take pride in making transparent analysis of the Loan requirement of our customers & helping them to best fulfil their financial need.